Conor McGregor continued his Twitter career on Wednesday night. This time he chose to reply to Twitter comments. McGregor had fairly typical things to say on Twitter, as he responded to both fans and trolls. Largely he was promoting his Proper 12 whiskey. He also broke down the technique used to defend himself from Khabib’s many fists on the ground. One of the more noteworthy things that McGregor mentioned however, was an injury that he sustained before the bout with Khabib. 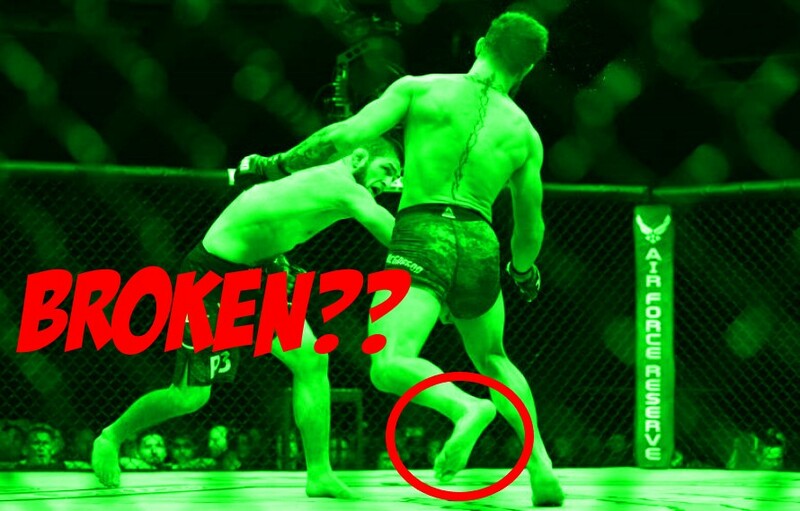 Conor revealed that he had broken his foot 3 weeks prior. when asked why his trademark footwork was not evident in the bout. Of course, McGregor’s comments about landing the final blows is referring the infamous post fight brawl. Khabib started the brawl by jumping the cage. However McGregor claims to have ended the night when Khabib’s team attacked him, and he punched back before it was broken up. Both Conor and Khabib, along with members of both teams, received fines and suspensions for the incident. Since then, Conor has been flirting between being in talks to fight in June, and retiring then un-retiring. Conor has also been dealing with several various legal issues, ranging from smashing a fan’s phone, to sexual assault allegations. Previous articleBen Askren Will Meet Jordan Burroughs In A Wrestling Match!